About 70 percent of Americans take at least one prescription medication, and about 50 percent take two or more prescription drugs, researchers at the Mayo Clinic have found. While women and the elderly are those who are most likely to be taking prescription medications, the fact of the matter is that the vast majority of people in the U.S. rely on prescription drugs to maintain their health. An experienced Portland medical malpractice attorney takes a look at a study regarding the leading causes of medication errors in the U.S.
Arise at a number of different points in the treatment process – While doctors can prescribe the wrong types or amounts of medications, nurses and pharmacists may administer the wrong types or amounts of medications, provide the wrong directions to patients for taking the drugs, forget about contraindicated drugs, etc. Come in various forms – From administering too much medication to giving patients medications they are allergic to, medication errors can occur in a number of ways. So, what are the most common forms of medication errors? Prescribing the wrong doses and administering the wrong medications are, according to a recent FDA study. According to the FDA study, from 2000 to 2012, more than 95,000 reports regarding patients receiving the wrong doses of medication were filed with the Administration’s reporting program. While more than 40 percent of these reports involved patients dying as a result of receiving the wrong amounts of medications, close to half of the reports were from people who were older than 60. The data regarding patients receiving the wrong medications are less precise, but researchers have still identified this as a leading cause of medication errors – particularly those that result in fatal complications. Doctors often have a limited to time spend with patients, making misdiagnoses an issue (and when patients are misdiagnosed, they are far more likely to be given the wrong medications). Drug names and labels can appear similar, creating confusion when it comes time to fill prescriptions. 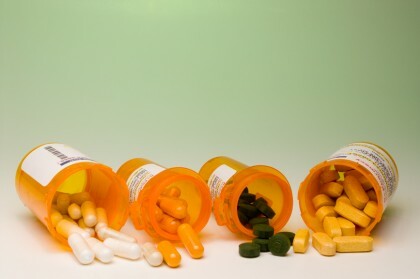 Have you been the victim of a medication error or any type of medical negligence? If so, you can rely on a seasoned Portland medical malpractice attorney at the Savage Law Firm for experienced help and aggressive legal advocacy. For more than three decades, our lawyers have been devoted to providing each of our clients with personal attention, respect and the highest quality legal services. Let them put their insight, resources and experience to work helping you financially recovery from medical mistakes.